Co-proposed for the reconstruction after the Great Tohoku Earthquake with j.Pod Engineering, Osaka. To create a resilient community, we must expect the unexpected. 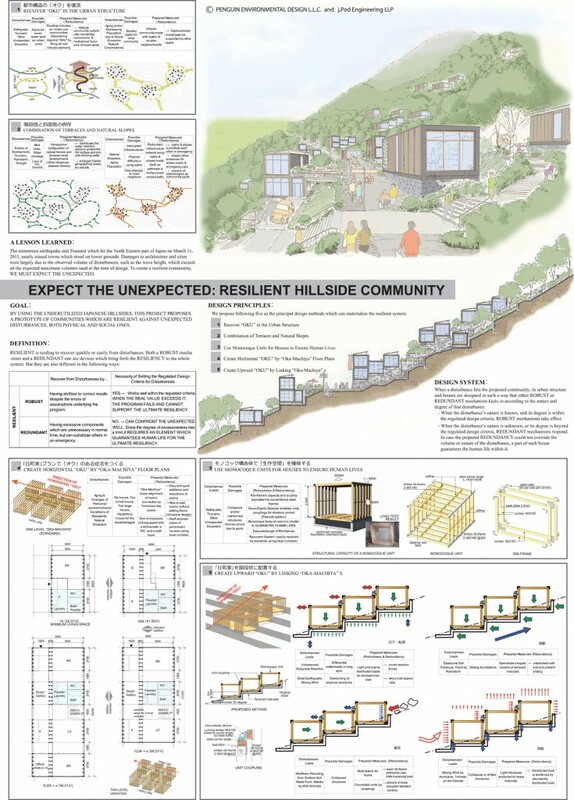 By using the underutilized Japanese hillsides, this project proposes a prototype of communities which are resilient against unexpected disturbances, both physical and social ones. Proposed methods include recovering the traditional urban structure, combining terraced grounds with natural slopes, using module system seen in traditional townhouses, and using monocoque units.